(Nanowerk News) Physicist Antonio Miceli of the U.S. Department of Energy's (DOE) Argonne National Laboratory has been awarded $2.5 million over the next five years as part of DOE's Early Career Research Program. Miceli's work concerns high-resolution spectroscopic X-ray detectors using superconducting sensors. Spectroscopic X-ray detectors are used for a wide variety of synchrotron experiments, including X-ray micro/nano-probes and X-ray absorption spectroscopy for biology and geophysical applications. The current state-of-the-art spectroscopic X-ray detectors are semiconductor devices, and their energy resolutions are approaching their theoretical limit of about 100eV at 6 keV. "We plan to develop a research program focused on using superconducting sensors with an energy resolution of at least one order of magnitude better than silicon diode detectors, while maintaining a comparable count rate throughput," Miceli said. "This research program has the potential to revolutionize synchrotron spectroscopic experiments." 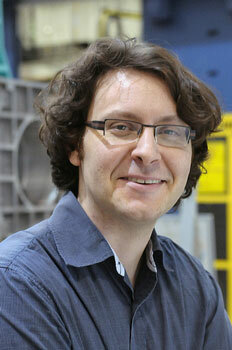 In addition, his research could lead to new techniques such as energy-dispersive X-ray diffraction, which would impact the field of materials science. The research program will be a collaboration involving Argonne's X-ray Science and Materials Science divisions and the Center for Nanoscale Materials. The Early Career Research Program underscores the Obama Administration's commitment to investing in innovation and research. The program will provide 69 scientists from across the nation with up to $85 million in funding under the American Recovery and Reinvestment Act for five-year research grants. The new effort is designed to bolster the nation's scientific workforce by providing support to exceptional researchers during the crucial early career years, when many scientists do their most formative work. "This investment reflects the administration's strong commitment to creating jobs and new industries through scientific innovation," said Secretary of Energy Steven Chu. "Strong support of scientists in the early career years is crucial to renewing America's scientific workforce and ensuring U.S. leadership in discovery and innovation for many years to come." Beginning with the next fiscal year, the DOE's Office of Science plans to continue the program, choosing new candidates on an annual basis and supporting them under annual appropriations. To be eligible for an award, a researcher must be an untenured, tenure-track assistant professor at a U.S. academic institution or a full-time employee at a DOE national laboratory and have received a Ph.D. within the past 10 years. Research topics are required to fall within the purview of the Office of Science's six major program offices: Advanced Scientific Computing Research, Basic Energy Sciences, Biological and Environmental Research, Fusion Energy Sciences, High Energy Physics, and Nuclear Physics.